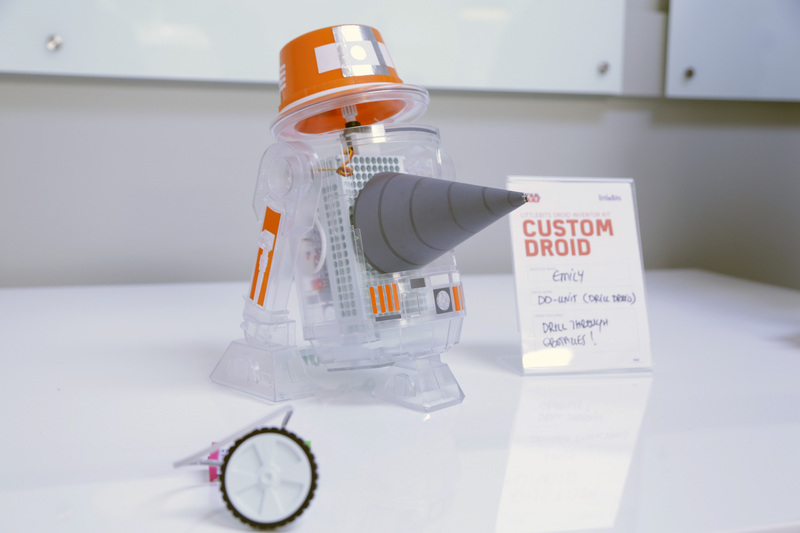 Ever wanted to build an R2-D2 to call your own? Or you could spend a few weeks in the shop bangin’ on scrap metal to build one from scratch. 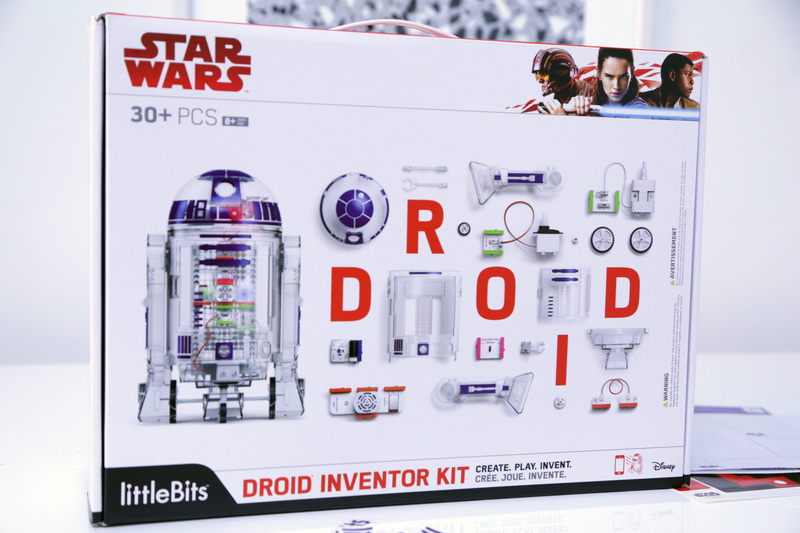 Or you could grab littleBit’s new Droid Inventor Kit and call it a day. 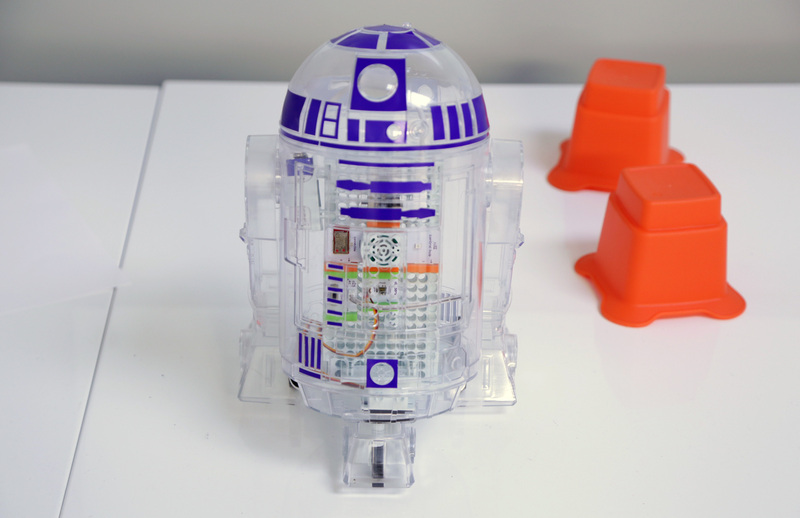 It’s pint-sized and not quite as intense as the aforementioned options, but hey — it’s your R2. Unfamiliar with littleBits? It was founded back in 2011, and focuses on introducing kids to electronics and circuitry by way of modular components that snap together. Want to build a little Taboo-style buzzing button? Grab a battery module, a button module and a speaker module, stick their magnetic ends together and you’re set — no soldering (and thus no soldering iron burns) required. A companion iOS/Android app gives you the step-by-step breakdown of how to piece things together, along with a series of missions meant to encourage kids to tweak their Droid to their liking. That one above, for example, has a little paper “drill” that spins as it rolls around the room. This kit should start shipping by September 1st. This is a pretty huge partnership for littleBits; they joined Disney’s startup accelerator last year, and this is the first new product to hit the shelves as a result. Check it out at around the 2 minute mark in the video below.